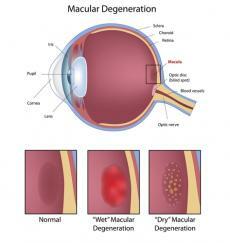 As we age, most of us develop symptoms of retinal degeneration. Unfortunately, if we don't catch this disease early enough, it could lead to permanent blindness. However, new research coming out of Japan offers hope for those in the later stages of retinal degeneration. These Japanese scientists are the first in the world to successfully graft retinal tissue onto mice with retinal degenerative diseases. After leaving these tissues on the eyes for a few months, researchers discovered many of the formerly blind mice could make out lights once again. This study officially began in 2014 when one of Japan's finest ophthalmologists, Michiko Mandai, developed new retinal tissues using stem cells. She then took these retinal tissues and grafted them into the eyes of mice that had issues with their retina. Mandai and her team of researchers at the RIKEN Center for Developmental Biology were shocked when they studied the retinae of these formerly blind mice a few weeks after treatment. Some of the mice's retina looked so healthy Mandai said she would have believed they were normal retina had she not known better. Mandai told reporters, "I was so surprised and excited to see these tissue could develop into a beautifully structured photoreceptor layer, with the most perfect morphology." Mandai then set out to test how well her mice actually responded to visual stimuli. She found that about 50 percent of the mice with grafted retinal tissue were able to register light signals that warned them to avoid an electric shock. Our retina are often considered the nerve centers of the eyes. Both retina have many light-sensing rods and cones tasked with interpreting visual stimuli and sending it up to the brain. Suffice it to say that the retinae are critically important for healthy sight. Most Americans develop either macular degeneration or retinitis pigmentosa as they reach their 50s or 60s. Both of these retinal disorders make it impossible for the retinae to pick up any visual data from light. About 400,000 people are annually diagnosed with one of these diseases in the USA. Doctors have tried to reverse the process of retinal diseases before, but they've had very little success. A few tests looked into developing bionic eyes, whereas others tried to inject new photoreceptor cells into the eyeballs. Some of these tests had their merits, but they could not be considered breakthroughs in retinal treatment. The exciting news from Mandai's study was the fact that the retinal tissue she developed integrated so well into the eyes of the formerly blind mice. So, what's next for Mandai and her team of researchers? Mandai hopes to begin testing on human patients within the next two years. Although the results from her mice study are extremely positive, Mandai told reporters she expects things to move slowly with human tests. Mandai believes the human tests will only help patients see tiny fields of vision, if any at all, at the very start of her studies.